You can edit your images without install any software on your PC. 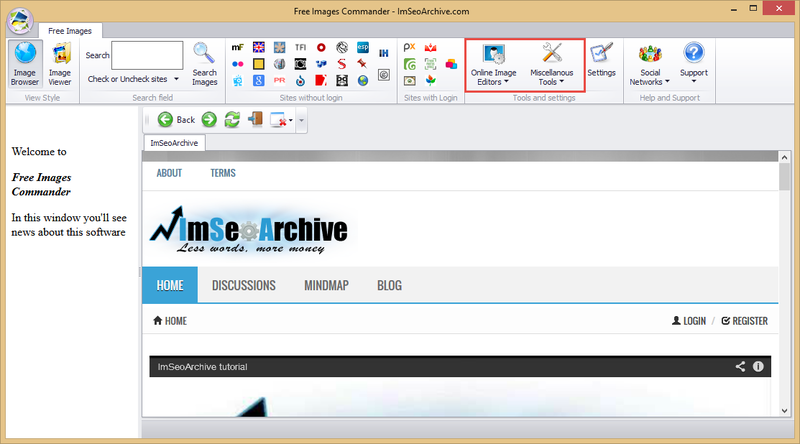 Click on “Online Image Editors” (see image below) dropdown button and choose your favourite online image editors. In “Miscellaneous tools” button there are other powerful tools like reverse image search tools, text effects tools, etc.